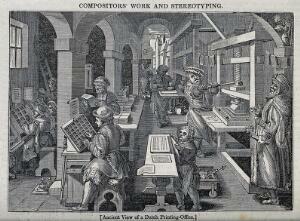 Men working at a printing press, proofing copy, inking, and setting type. Wood engraving. 18--, after Stradanus, ca.1580.